One of the things I really admire about the sewing community, whether online or elsewhere, is the willingness of its members to lend a hand. For years (actually, centuries would be a fair statement), sewers and knitters have provided blankets and hats and mitts to the charities in their community. A few years ago, when I first found Flickr and all the crafty people who used it, I loved how willing perfect strangers were to sew up a few blocks and ship them off to someone who was making a quilt for a friend who need support. 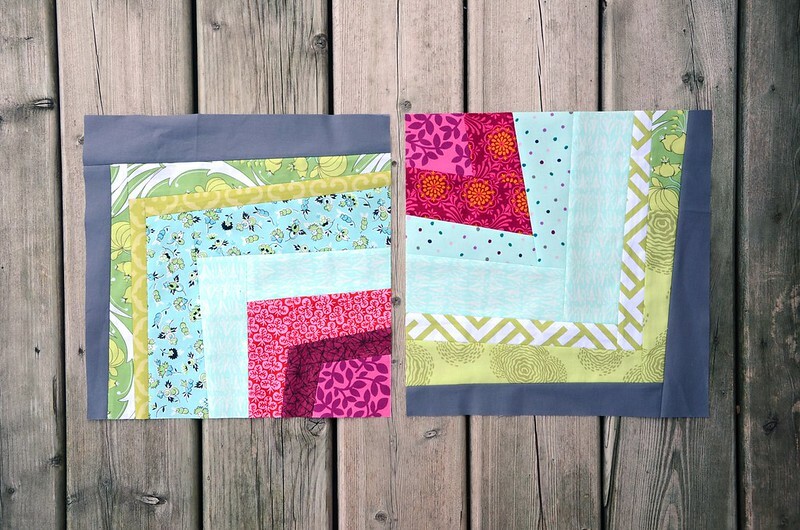 In the summer of 2010, Rachel at Stitched in Color started a new virtual quilting bee called do. Good Stitches with the goal of making quilts for people in need, and it didn’t take long for the group to grow quite large. At the moment there are 21 different groups involved, for a total of 210 people willing to chip in. I’ve been wanting to get involved for quite awhile, and finally filled out the wait-list form a few months back…April, I think? I had tons of fun making these blocks, and I love the way they turned out. I can’t wait to see how the finished quilt turns out. I’m sure it will be spectacular! If you’re interested in getting involved, then head over to the Flickr group to read the rules, and fill out the wait-list form. And be sure to check out some of the finished quilts that the various circles have made over the last two years!